Catastrophes, or Merely Growing Pains? 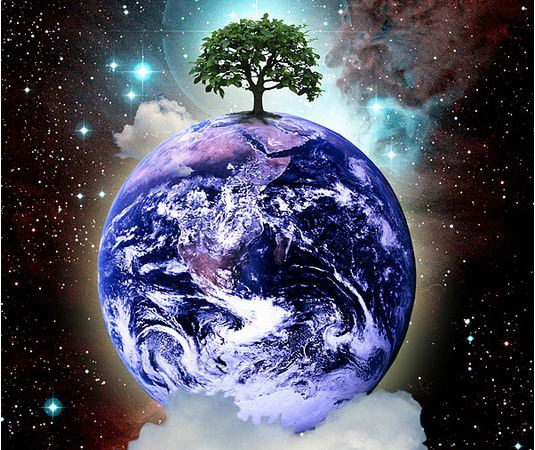 The Mother Earth is a living organism, made up of many ecosystems which support the planet. Her nature is to survive and thrive. The basic premise of an organic garden teaches us Mother Earth conforms, or transforms, her eco-life systems to rid herself from those that threaten her. Most of her techniques are extreme. She is never gentle to the pests that put her ecosystems at risk. For example, there is a wasp that lays her eggs into the flesh of the caterpillar. The larvae then eat their way out. No more caterpillar. Our nature as humans is also to survive and thrive. The planet’s history of formation is also extreme – violent earthquakes, volcanoes, hurricanes and fluctuating temperatures. The results help to create land mass. We have been privileged during the life span of homo sapiens to have lived on an abundant Mother Earth. Not so today. We are now threatening Mother Earth’s survival to thrive to the degree she has to respond. Our species, in our effort to survive and to thrive, have populated Mother Earth to the brink of depletion of her resources. Those resources not only sustain us as humans, but sustain all eco-life systems. The oceans have been over-fished and polluted, the rainforests (the heartbeat of our Mother Earth) is vanishing. I need not go on – every ecosystem is being threatened. As humans, we don’t think twice when we need more space. We just add on to our houses or buy a bigger one. Mother Earth seems to have only three choices: 1) Die. NOT an option in “Thrive and Survive” organisms. 2) Eliminate the problems. NOT an option, the problems are everywhere. 3) Expand by making more space – the ONLY option. Mother Earth can only expand by splitting apart, adding more rock, erosion of the land and washing away as much of the threatening organisms she can. Over-population, along with deforestation, seem to be just two of the many triggers that kick Mother Earth into survival mode. By trying to accommodate the expansion of our species, the planet itself is having to expand to survive and continue to thrive. The Webster’s New Collegiate Dictionary 1980 defines “catastrophe”: 1. The final event of the dramatic action esp. tragedy. 2. A momentous tragic event ranging from extreme misfortune to utter overthrow or ruin. 3. A violent and sudden change in a feather of the earth. 4. Utter failure. Webster defines “grow” 2a) to increase in size by addition of material either by assimilation into the living organism or by accretion in a non-biological process (crystallization). I prefer to think Mother Earth is having growing pains, rather than catastrophes which could end in failures and are built on tragedies. I see Mother Earth surviving and thriving. After all it is her nature to do so. In any case, it appears we are in for a bumpy ride.